1. Click Register in the upper left corner of cranenetwork.com or type secure.cranenetwork.com/register into your URL bar. 3. Click the green Register button at the bottom of the page. 4. Check your email for a confirmation link to confirm your email address. How do I Purchase a New Advertising Package? 1. Log into your Crane Network account or go to secure.cranenetwork.com. 2. Click Advertising Package Pricing from the menu bar. 3. 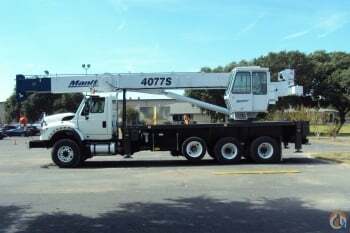 Select Crane Advertising Packages, Parts Advertising Packages, or Auction Advertising Packages. 5. To add another package, repeat steps 2-4. Click Proceed with Checkout. 6. Review your cart before proceeding. 7. To add a new payment method, click Add a New Credit Card and enter the information. Click Save. 8. Select your payment method from My Cards. 9. Agree to the Terms of Service. 10. Click Finalize Payment to confirm purchase. 11. A confirmation of your purchase will be sent to the email on file for your account. 3. Fill out the form with your equipment information. 4. Click the Save button at the bottom of the form to save your listing. 5. A dialogue box will confirm that your listing has been saved to the system. Click OK.
6. The page will refresh and Edit Photos, Add Specifications, and Add Sales Brochure buttons will appear at the top of the listing form. 7. To add photos, click the Edit Photos button. 8. You will be taken to a new page. Click the green +Add Images button. 9. Select the files you would like to upload. There is no limit to the number of photos, but please note the maximum image size is 745px by 600px. Photos that are larger will be cropped. 10. Open the files to download them to Crane Network. Once they have been successfully downloaded, you will see a list of preview images. Click and drag to reorder photos. 11. Click Back to Equipment. 12. To add a specification or brochure, click the appropriate button and follow steps 9-11. 2. Find the listing you want to edit from your inventory. 3. From the blue Actions dropdown menu on the left of the listing, select Edit. 4. You will be redirected to the Edit Listing form. You will be able to edit all of your listing information from here. For help with adding or editing photos, please read How do I create a New Listing? 5. Click Save at the bottom of the page when you are satisfied with your listing. How do you list multiple pieces of equipment on our site? It's easy. If you are already an advertiser, download applicable import sheet, fill in the relevant information and send it to info@cranenetwork.com. How do I Schedule an Email Blast? 2. From your inventory, select the listings you'd like to include in your email blast using the check boxes. 3. Once the listings are selected, click the Email Blast Your Equipment icon that looks like an envelope. 4. You will be redirected to confirm the price of the blast. You will have the option to select a $99 rush fee for the blast to be sent in the next available opening. 5. Click Purchase this Package. 6. Review your cart before continuing, and then click Proceed with Checkout. 7. Select your payment method from My Cards and agree to the Terms of Service. 8. Click Finalize Payment to confirm your purchase. 9. Email blasts are typically scheduled 1 to 2 weeks in advance. If you have a specific date you would like to send your email blast on, please email renee@cranenetwork.com. 10. You will receive a proof of your email blast at least 24 hours before it is scheduled to be sent. How do I Feature my Listing on the Homepage? 2. From your inventory, select the listings you would like to feature using the check boxes. 3. Once the listing is selected, click the Feature Your Equipment button icon that looks like an eye. 4. You will be redirected to the featured equipment page. Select the number of days you would like to feature your equipment from the dropdown menu. 5. Click Continue. You will be redirected to confirm the number of days and price. 7. Review your cart before continuing, and then click Proceed with Checkout. 8. Select your payment method from My Cards and agree to the Terms of Service. 9. Click Finalize Payment to confirm your purchase. 10. If you would like to request specific dates for your listing to be featured, please email info@cranenetwork.com. 2. From the menu bar, click My Network then select My Account from the dropdown. 3. You will be redirected to your account profile. From here you will be able to make any changes to your account profile. 4. To change your login email, click the blue Change email button. Write the new email in the bar provided and click change. A dialogue box will confirm the change has been made. 5. To change your password, click the blue Change password button. Enter your current password and confirm your new password. A dialogue box will confirm the change has been made. 6. To delete or add a new payment option, click the blue Payment data button. You will be able to delete or edit existing cards as well as add a new payment method. Click save. You will see the new card added to your list of Saved Credit & Debit Cards. Why isn't my equipment selling? / Why am I not getting leads? While there are many reasons why a listing may or may not get leads, the most likely reason is lack of information. Take a more aggressive approach to marketing your equipment with the FastTrack system. 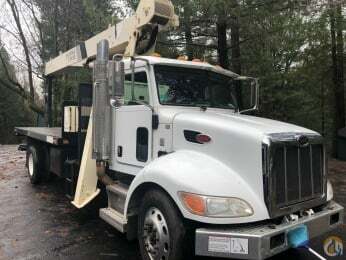 We'll evaluate your equipment from top to bottom, collect new pictures and videos and determine the best way to sell your equipment quickly for top dollar. For more information or to sign up, visit FastTrack.